About a half-hour after most in the Sunday afternoon announced crowd of 9,475 had left Las Vegas Ballpark, Aviators president Don Logan called his staff together for a group hug. It was half-hour after most in the Sunday announced crowd of 9,475 had scurried from Las Vegas Ballpark to find a big-screen television to watch the hockey playoffs. Aviators president Don Logan called his staff together into his spartan office behind the first base suites for a group hug. This was the batting order: Logan; Chuck Johnson, his longtime sidekick and Aviators general manager; Siobhan Steierman, director of ticket operations; Jay Cline, vice president of stadium operations; Melissa Harkavy, vice president of community relations; Andrew Ciarrocchi, vice president of management and operations, Howard Hughes Corp. It really wasn’t a group hug. Don Logan is a baseball man, and baseball men do not do group hugs. (Ask former 51s skipper Wally Backman). Logan called it a group news conference. 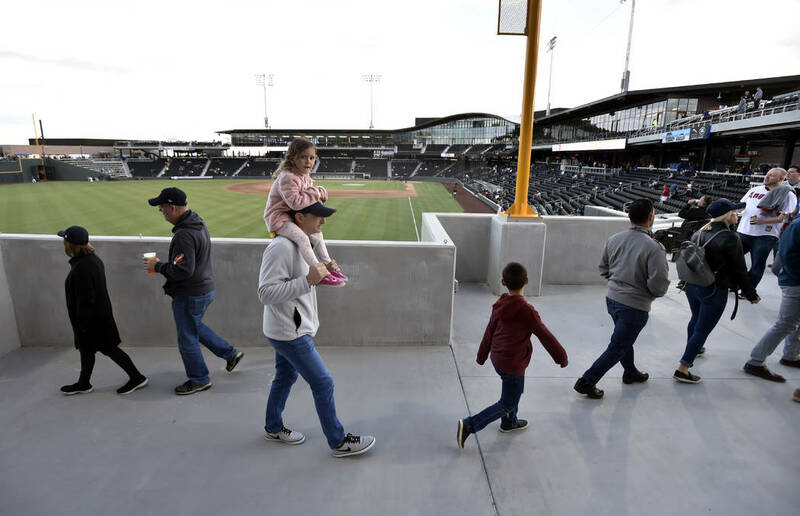 The first week of games at Las Vegas Ballpark had gone off with a nary a hitch, or at least only a few little hitches. When a reporter sought Logan’s comment about that, he wanted his staff to take a bow. This kind of gathering could not have taken place at Logan’s old office at Cashman Field, which was more like a subterranean broom closet than an office. At Cashman, there was room for Logan’s desk and maybe two visitors. Logan’s new office is more spacious than the original power alleys at Detroit’s Comerica Park. There were seats for everybody at a long table, with room left over for Beer Man Bruce Reiner and a couple of his suds-dispensing buddies. Logan was making a joke, and the table broke into laughter. 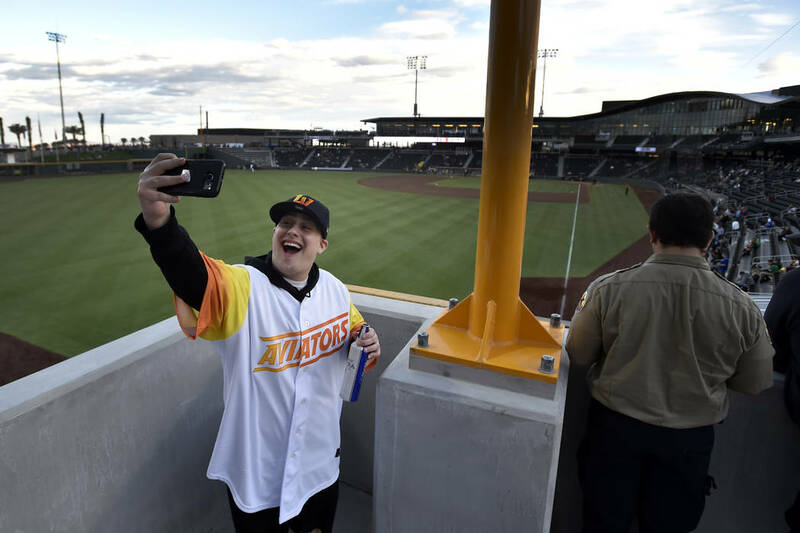 Everything with Las Vegas Ballpark had to be done with the haste of turning a double play on a slowly hit ground ball to be ready by Opening Night, so the Aviators really did sell a few tickets for non-existent seats. But otherwise, there were few grievous malfunctions. When the ballpark lights flickered and pulsated like a disco dance floor on Opening Night, it wasn’t because of high winds. It was by design. “You go to Iowa, they actually do a ‘Take Me Out to the Ballgame’ theme with their Musco lighting (system),” Harkavy said. 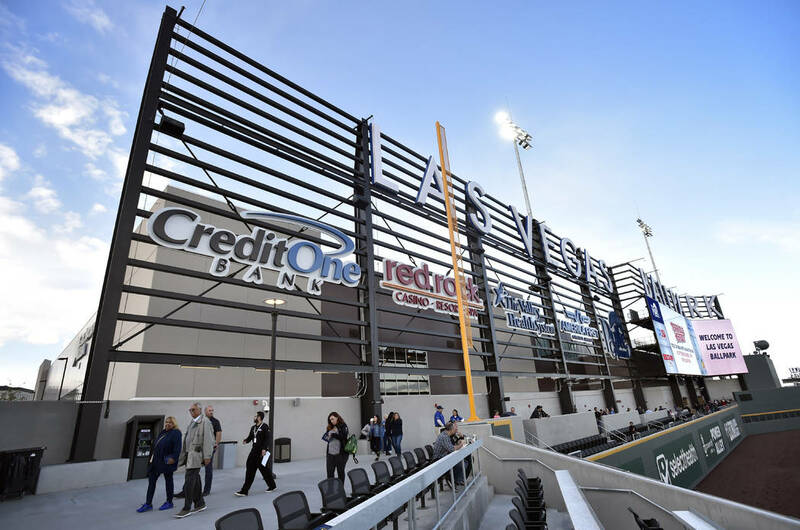 On balance, everything about the new $150 million ballpark that went up in downtown Summerlin in just 14 months was as sublime as the team’s performance on field level. A 6-5 loss to Fresno on Sunday snapped a six-game winning streak for the Aviators, who went into Monday’s homestand finale with the Grizzlies 9-2 and in first place. “The positive comments, just the atmosphere in the ballpark — it’s lively,” Logan said about his overall reaction to the first few games. After Monday night’s game, the Aviators will hit the road for eight days during which the staff will get a breather. But only a little one. But outside the picture window in Logan’s office, the monster trucks and other construction equipment that made the dirt lot adjacent to the ballpark look like a gravel quarry already were starting to dissipate. “Realistically, we’ll probably be here until July just buttoning up the little stuff,” Cline said. By then, Logan’s office may appear a little less spartan. He said all of his stuff from Cashman was packed away in storage bins somewhere behind the temporary maintenance sheds, but that he’d probably get to it by the next $2 beer night. Or the one after that. Las Vegas Ballpark has opened to mostly rave reviews and large crowds.